← ❆Tip of the day: Cucumbers for hair growth. 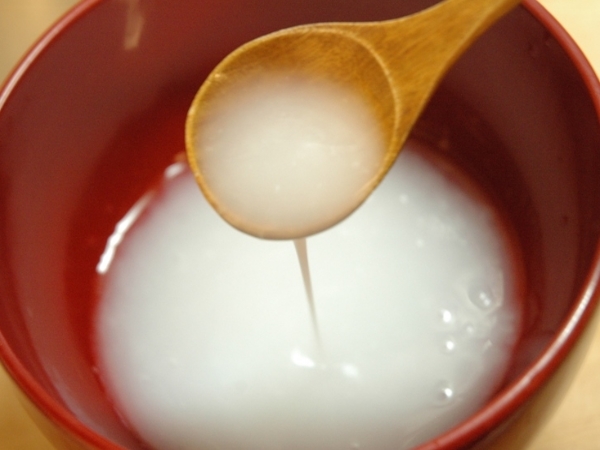 To prevent premature ageing signs and to get flawless skin Japanese women have been using rice water for centuries. Rice is rich in vitamin B complex called inositol that stimulates growth and cell renewal, slows down aging ,tighten the pores and improves the blood supply to the skin and skin becomes flawless and glowing. Before explaining how rice water works for skin. I want to mention that rice water is suitable for all skin types. Here is two recipes to make rice water. 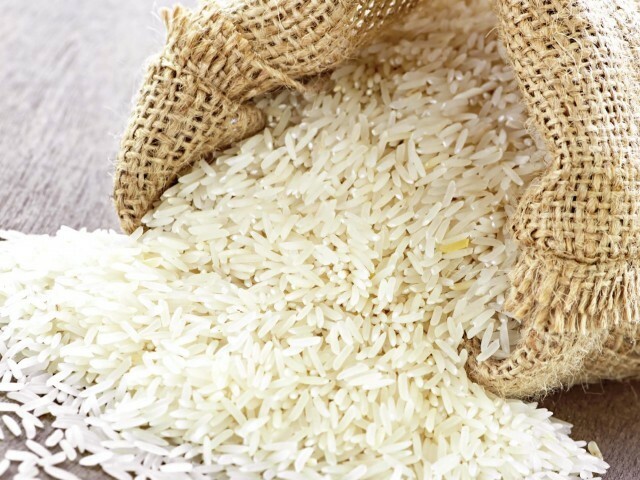 To make rice water firstly rinse the rice in runing water to remove any dirt or impurities. Now soak the rice in a bowl filled with 2 cups of water for 15 to 30 minutes. Strain out the rice water into a clean container. You can store this water in an air-tight container in the refrigerator for a week. Boil rice water is concentrated as compared to uncooked rice water.To make boiled rice water boil the 1/2 cup of rice in 2 cups of water in a sauce pan until the water remains half and cloudy foam is formed. Now strain this water in a container and cool it in the refrigerator. You can store this water for up to 4 days. use rice water on your skin in following ways. Take a teaspoon of rice water mix it with a teaspoon of raw milk. Now take a cotton ball and dip it into the mixture and clean your skin gently with this mixture. It removes all the dirt from skin and helps to keep the skin soft and smooth. You can use rice water as a toner because it has ability to minimize the skin pores and prmotes the cell growth. 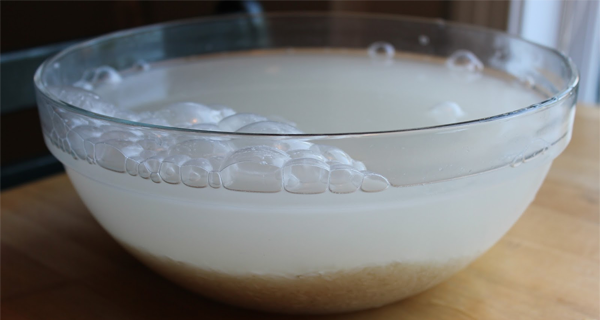 Dip a cotton ball in rice water and apply the water on skin like a toner. 1. Whenever you make rice strain the boiled rice water from it and allow it to cool after cooling you will get a thick or concentrated and a bit of slimy paste. Apply this cooled rice water paste on your face and allow it to dry. Now you can peel it off or sprinkle some water on face to make it moist then scrub it off . But if you find peeling and scrubing is painful then simply rinse with water . 2..Take a tea spoon of gram flour,a tea spoon honey,half tea spoon turmeric and adequate amount of rice water(uncooked or boiled) to make a fine paste. Now apply this paste on face. If helps to tighten the skin remove the wrinkles or fine lines. Apply this pack once week to get batter results. 1 )The starch components in rice water are effective in easing the eczema. So apply the coocked rice water with the help of cotton on skin. Or daily wash your face with uncooked rice water because boiled rice water is concentrated. 2 )Apply rice water on any kind of skin inflammation, skin iritation, radness or rashes. Because of its cooling properties it will soothes the skin. so it prevent the hyperpigmentation and age spots and lightens the existing ones. So next time you make rice think twice before throwing the water away because it is a cheapest remedy for all your skin problems. This entry was posted in skin care and tagged Beauty, Home Remedies, natural remedies. Bookmark the permalink.